Landmark: US Votes Against UN Anti-Golan Resolution - Breaking Israel News | Latest News. Biblical Perspective. The United States for the first time voted against an annual U.N. resolution condemning Israeli control over the Golan Heights at the world body. The decision by the United States to change its stance on the resolution, after previously voting for years to abstain, may be part of a broader shift in American policy towards the Golan Heights. “Given the resolution’s anti-Israel bias, as well as the militarization of the Syrian Golan border and a worsening humanitarian crisis, this year the United States has decided to vote ‘no’ on the resolution,” she said. Israel gained control of the Golan Heights during the 1967 Six-Day War. After Israel briefly lost the territory during the 1973 Yom Kippur War, Israel and Syria established a U.N.-monitored ceasefire line in the region, with Israel taking control of the western two-thirds of the area. In 1981, Israel annexed the Golan when it extended Israeli civil law to the territory. However, the United States and the international community have never recognized this claim, despite the territory being under Israeli control for more than half a century. More recently, the Golan Heights has acted as a strategic buffer for the Jewish state against the ongoing civil war in Syria. Yet as the regime run by Syrian President Bashar Assad, with Iranian and Russia help, has beaten back most rebel groups operating in southern Syria and re-established control of the region, Israel has grown increasingly concerned with Iran establishing a permanent presence on the Syrian side of the border. “This is a long time coming. 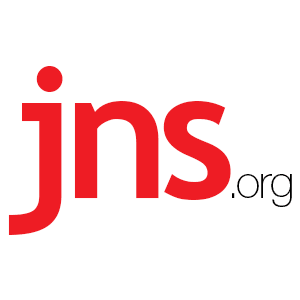 From very early on in the Trump administration, there have been voices in Washington, as well as in Israel, calling for the move,” Jonathan Schanzer, vice president for research at the Foundation for the Defense of Democracies, told JNS. According to Schanzer, a number of justifications have been put out there regarding altering U.S. policy on the Golan. “They vary from observers who say Syria is barely a country any longer due to the civil war, as well as the counterfactual proposition that had Israel ceded the territory to the Assad regime years ago, one could imagine how dangerous the map would look today. The other argument is Israel has effectively solidified control over the Golan and there is no going back, regardless of what happens in Syria,” he said. Nevertheless, Schanzer believes that the core of the move by the United States here is that this is part of the Trump administration’s policy of ending “Israel bashing” at the United Nations. Israeli officials were quick to praise the decision by the United States. Israeli Prime Minister Benjamin Netanyahu has been outspoken in the stance that the international community should recognize Israel’s sovereignty in the Golan Heights, especially in light of the growing threat posed by Iran and its terror proxy, Hezbollah. In October, Netanyahu reiterated this demand following Russia’s decision to deliver the advanced S-300 anti-aircraft system to Syria. The Israeli leader has also held out hope that the United States would recognize Israel’s claim, especially following last year’s decision on Jerusalem. Professor Eugene Kontorovich, director of International Law at the Jerusalem-based Kohelet Policy Forum and professor of international law at George Mason University in Washington, D.C., said that Israel’s control of the Golan is both legal and a recognition of the facts on the ground. “U.S. recognition of the Golan as Israel’s is in accord with international law and reality. Failing to do so only encourages the ambitions of the Iran-Syria axis to reconquer the territory,” he said. Nevertheless, Kontorovich said that the U.S. decision on the U.N. resolution was a step in the right direction. Sean Savage is a writer for JNS.org, an independent, non-profit, business resource and wire service covering Jewish news and Israel news for Jewish media throughout the English-speaking world.